Bali is known as the Island of the Gods. Whatever the Island of the Gods would look like, Bali must come close. It’s a tropical paradise, lined with beaches, forests, and some of the most incredible views you’ll ever see. A lot of these things, you’re probably going to have to pay for, yet there is a lot of things to do in Bali for free as well, including Top Bali’s Temples. Many tourists, however, don’t visit these attractions; their entrances are hidden, their admissions unknown. For those who do venture to them, they find themselves immersed in a side of Bali hidden from the average tourist. This part of Bali is both beautiful and unique. A Bali of hidden admissions. Taman Festival is, without a doubt, one of the most interesting Bali for free attractions there is. It’s not just the fact that this has been dubbed ‘Bali’s Ghost Town’, nor the fact that there is a smorgasbord of ghost tales surrounding this abandoned theme park, it’s also the fact that this is a truly ‘off the beaten’ path destination. The area was once scheduled to become a theme park – one of the largest in Bali – when a series of unfortunate events and poor planning led to the site being abandoned. What was left behind has now been reclaimed by the Balinese wilds. This means that it’s perfect for experiencing something a little alternative. Taman Festival is located near Padanggalak Beach, which is quite a distance from the nearest population hub of Sanur. If you’re thinking of heading here, you’re gonna need to book up a car or private transport for convenience. Don’t expect locals to travel into the park with you. They have a genuine belief in local superstitions that the area is haunted by Balinese vampires. Pinggan Village is situation next to Mount Batur. Mount Batur, of course, is very well known. Many hikers and trekkers make their way here every year to scale the mountain and take in the incredible views. In fact, according to statistics, Mount Batur is one of the most visited attractions in Bali. However, doing Bali for free doesn’t just mean doing the same attractions everyone else does. That’s why we’re suggesting Pinggan Village. Pinggan Village is a small and quaint village, which hasn’t quite shown up on the ‘tourist’ map yet. Already though, it has started to attract attention from more adventurous visitors and photographers. The reason? Because the Pinggan is one of the best places to see the sunrise behind Mount Batur from. Combined with the natural formations of fog during the morning, the view is incredible and definitely Insta-worthy. 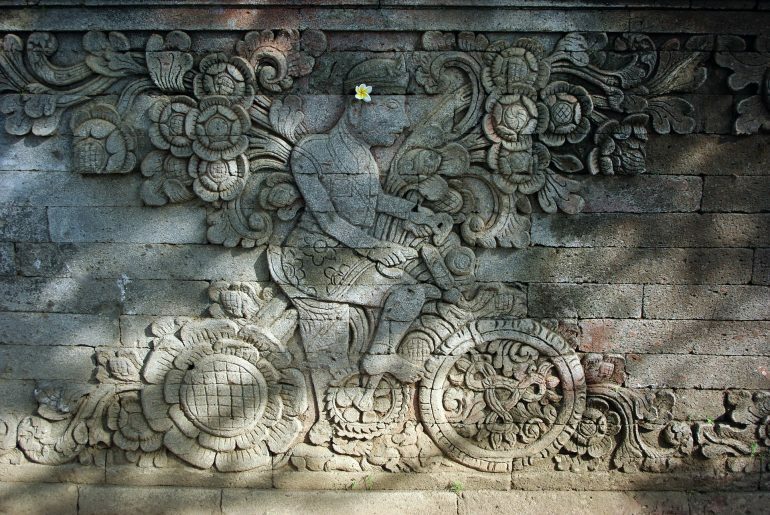 To get to Pinggan village, you’ll need to take a car from Ubud. If you want to get there really early, you’ll need to hire a private car for the day. This is relatively cheap, but make sure you book it up in advance, or there’s a chance there won’t be one left. Located in Pura Beji Guwang, Sukawati Canyon is a true artist’s paradise. Stepping into this canyon, you’ll find yourself surrounded by unbelievable combinations and patterns of colors. The natural rock formations jut out in seemingly random, but incredibly beautiful, directions. It’s as though you have landed on an oil painter’s canvas as he is working. Between the two canyon walls, you’ll find clear and clean water flowing. This is part of the river Beji, which continues out of the canyon. If you’re looking for creative inspiration in Bali for free, then Sukawati Canyon might just be it. In order to get the Sukawati Canyon, you’ll need to head to Guwang village from Sanur first. This is about 20 km and will take you about 45 minutes by car. Once here, you’ll be able to take a private car. If you find that no one is entirely sure where it is, trying asking about the ‘hidden canyon’ – this is another name that it’s sometimes known as by those visiting. Undoubtedly one of Bali’s most popular walks. Campuhan Ridge is one of the best ways to experience hiking in Bali for free. You’ll find yourself walking through cool, green fields, the breeze whipping past your face. From the highlands of the ridge, you’ll have an incredible view of the world beneath you and be able to take some pretty darn good pictures. The walk itself is 9 km. 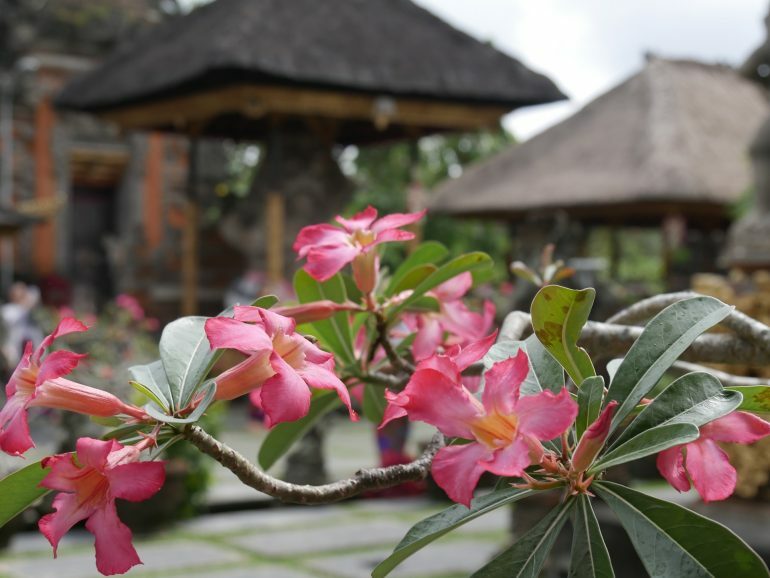 You’ll see Balinese temples, rice field and terraces, and the jungle scenery which surrounds you. Starting the Campuhan Ridge Walk is easy. Head to the Ubud Traditional Markets in Ubud. The corner you’re looking for is Jl. Monkey Forest and Jl. Raya Ubud. Once you’re there, head towards the bridge. You’ll see the entrance to a villa and spa called Ibah, turn into the driveway and you’ll then notice another fork. Take the left path and continue down it. You’ll start seeing signs which say “going to the hill”. Follow these and you’ll make it. Did you know that only 1 for every 1,000-10,000 turtles born, survive to be adults? Conservation efforts have taken place around the whole world, but now you’ll be able to get in on it yourself. You probably didn’t think you would be able to gain admission to seeing baby turtles being born in Bali for free, but here you are. Depending on the time of year you decide to visit, you can be a part of it. Located on Kuta Beach in Bali, the best time of the year to come here is July. This is when they tend to release the turtles into the sea (almost every day). However, if you’re willing to wait a few days, you can head here between March and October and, if you’re lucky, find that they are about to let some hatchlings go. Crowds will gather and watch as the turtles make their way into the ocean to start their lives independently. This all takes place next to the Grand Inna Kuta near Hard Rock. 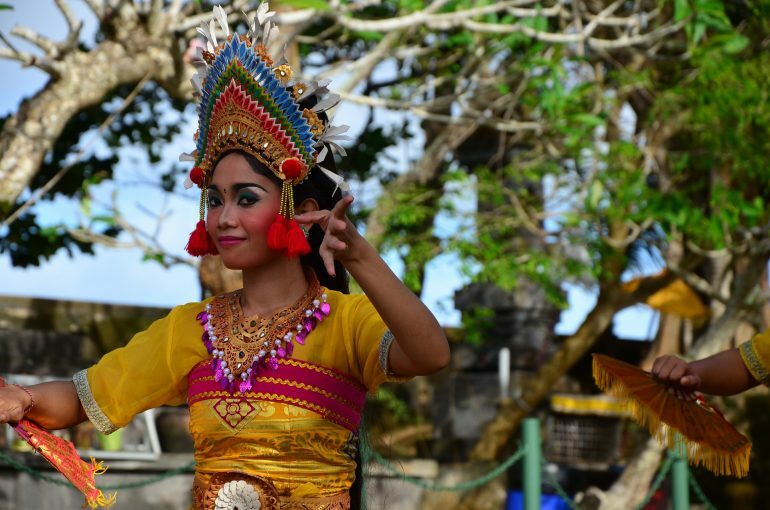 What free attractions in Bali do you know? Previous articleSpending a Year Abroad: Why Take the Plunge? All are new to me. Although I think a local Balinese lady took us on a similar tour of the rice fields outside of Ubud. Loving this list! I just get on the motorbike with my wife and explore. We found Ganung Payung Beach in a remote area of the Bukit. Not a swimming beach but goodness the views were jaw-dropping and the ride to the beach was fascinating too. Add that to your list to see a hidden gem. 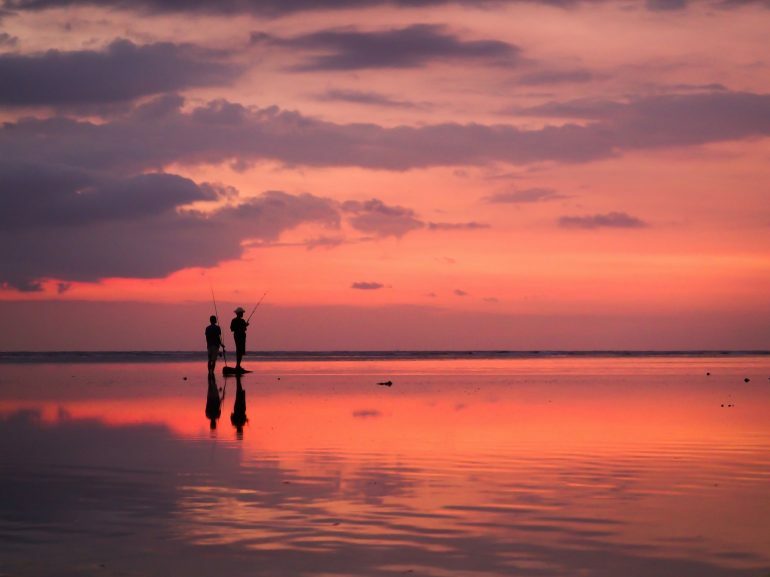 Your photos of Bali are exquisite Agness. 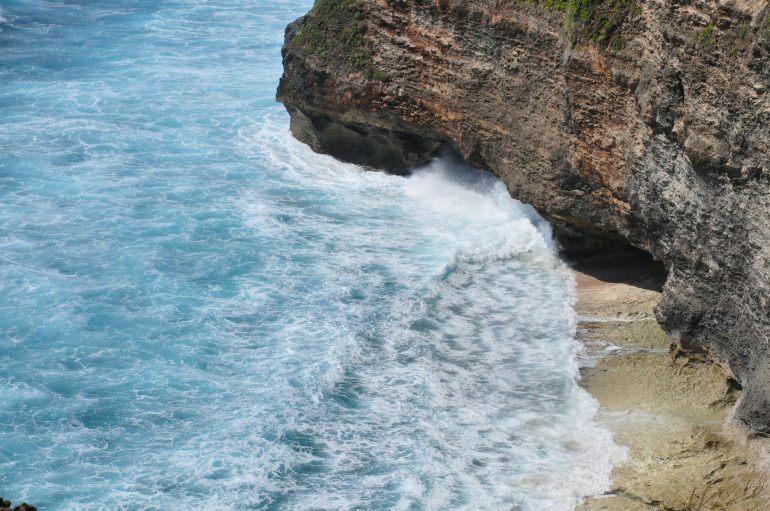 I have been to Bali on two occasions and enjoyed a day trip to Ulawatu and the little surf beach known as Padang Padang Beach. You walk through a large rock and many stairs to access this gorgeous beach. Bali has so much more to offer when you get off the tourist tracks. These photos are gorgeous. I’d love to visit Bali one day and check out these hidden treasures! I can’t believe I missed out on all these awesome things to do when I was in Bali. But I will be back! I will be super excited to see baby turtles being hatched. Really can’t wait. I have lived in Bali for 10 years. There is one of the most interesting places (in my opinion) that was Trunyan village. Need a road trip to the lake Batur on the mountains, then continue using boat across the lake. There, you will see Trunyan’ village, the indigenous tribe of Bali, known as Bali Aga. Just browsing with keywords “trunyan tribe in Bali” to find more. Great post and photos Agness. We are long time fans of Bali and first heard about Taman Festival earlier this year and wrote a post about it. Our driver was happy on the outside, but I think reluctant on the inside to accompany us and we spent several hours there. You’ve now convinced me to add Sukawati Canyon to our list for next visit, thank you. Where is the location of the picture at the top with the pool and pink flowers?